We know you are out there, because Word Press has a nifty visits and search statistical page. 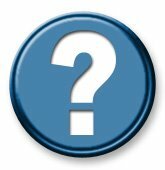 We are curious what you like and don’t like about Fresh Read. Leave your questions and comments here. FR will be taking a vacation soon, so this site will be a bit slow until mid-August. Moreover, we know God by two means, first, by the creation, preservation, and government of this whole world. For it is before our eyes as a most beautiful Book in which all creatures, from the least to the greatest, are as certain letters and marks through which the invisible things of God can be examined and understood, certainly His eternal power and His divinity as the Apostle Paul says in Romans 1:20. This knowledge is sufficient for convicting any given people and rendering them inexcusable. But He also bears His very self to us, much more clearly and openly, in His holy and divine Word; indeed, as much as is expedient in this life for His glory and for the salvation of His own people. Psalm 11, Don’t stop at verse 3! Perhaps you have heard verse 3 quoted. We hear it quoted with the thought by traditional people that morality has decayed beyond repair, and the institutions of faith and society are turning to dust. OK, if that is your view of morality. (We tend to think that things are mixed – perhaps we have gained in the areas of race relations, while we have lost in the area of sexual responsibility.) However, don’t stop at verse 3 because the Psalm does not either. Verses 1-3 present a dark picture. The wicked crouch in the shadows to pick the good guys off one by one with their poison arrows. There is a debate in verse 1 between the Psalmist and another, or maybe with himself – should I flee to the mountains like the birds? We have seen traditionalist take to flight. They decide it is time to escape the culture – the schools, maybe even the electrical grid. History would seem to show that when the floods come, no safe hill is high enough. There’s slow, slow train coming up around the bend. Verse 7 is interesting. Instead of an inclusio– where he ends at the beginning point – the Psalmist takes us to a new thought. He does not tell us that the foundations on the earth are in good shape, or are due to be rebuilt. He seems to say, “Suppose the foundations are destroyed, all can not be lost. The upright have God.” God loves justice, and will bring it, we understand, on the earth. The final thought is, however, that we will see his face. This is not escapism – because the realism of the earthly fight is there. He seems to say that there is Someone more that makes all this meaningful. Don’t stop at verse 3, read the whole psalm. it is not pessimistic, but ultimately and realistically optimistic. It is optimistic because the world is not finally run by impersonal forces. It is run by a Person. Psalm 5:3 I Present, what exactly? We know Psalm 5 from the KJV based song, which we will enjoy singing this Sunday. However there is an interesting case of how to translate. In other words there is a verb, a posessive pronoun, a prepositon and an object pronoun, but no noun. It does not say what it is that the Psalmist sets before God. The Verb (ydk) can refer to preparing a sacrifice, sticks to make a fire, a legal case, setting a table, aligning for battle and arranging words. (That is a summary of the Hebrew Lectionary.) Thus the interpreter and the translators have to decide what is being laid before the Lord. It seems several of these make good sense. To lay a case before the Lord is a kind of prayer, arranging words is a prayer, offering a sacrifice (there were morning sacrifices at the temple each day) is also plausible. One wise seminary professor told us that “bible translations are a form of commentary, therefore look at the better translations.” This is a verse where that plays out well. What is one to do? Can you say, “In the morning i will lay it before the Lord”? That seems too vague. Maybe you can rotate the options with each reading? No, that is only funny for seminarians. It seems to us that Psalm 5 is about praying (in context), so whether his prayer is in the form of a sacrifice (which would not be the literal case for David, who was not a priest, but it could be a metaphor), or a legal case or a prayer, it amounts to about the same thing. He is clearly in the psalm dealing with disreputable enemies and he is seeking God’s assistance and assurance. That boils down to prayer. One other thought, having a suggestive lack of a noun enriches the options. Perhaps the point is that we think on the word-gap from different perspectives. Leaving a gap adds to our meditation. Most of us are not farmers. So when we read in Psalm 1, “they are like the chaff that the wind drives away”. we don’t share the experience. So think “peanut skins”. 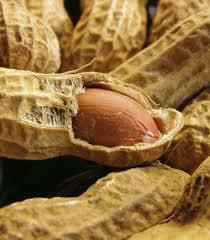 When you open a peanut, you rub off the red bitter skin before you eat nut. Where does that skin go? It blows away in the wind. It becomes nothing. 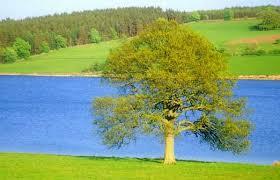 Compare that to a strong, fruitful tree that is well watered.